Virgos are elusive and difficult to pin down. 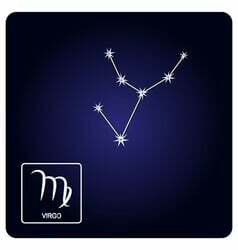 Individuals born under the sun-sign of Virgo are open-minded and typically somewhat shy, and keep their cards carefully hidden. It can be difficult to tell what a Virgo is thinking, as their thoughts are guarded and mysterious. Virgos are almost always very intelligent and very imaginative -- spending long hours thinking and being philosophical about issues that many others would only think about for a few moments. Most Virgos are extremely organized and practical. They prefer simplicity and minimalism and tend to avoid complex situations. Because Virgos spend so much time being deeply philosophical about so many subjects, they are often gifted with tremendous powers of insight -- allowing them to see and sense many things that others miss. Virgos are often perfectionists -- never satisfied with any task until they feel it is one hundred percent "right". This perfectionism can be something of a double edged sword -- sometimes leading to projects that never get completed, because too much time is spent on small details. Virgos are very shrewd and judicious in their decision-making. 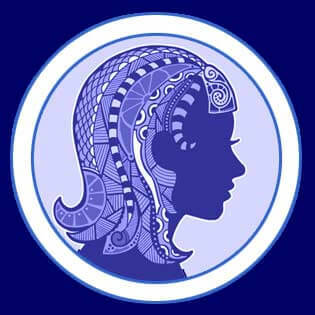 While Virgo's dedication to perfection can lend itself to almost any career path, Virgos are often very well suited to tasks that involve analysis, details and deep thought. The world of high finance is filled with many Virgos who excel at strategy, perception and careful planning. Virgo's practicality and diplomacy is a valued asset among employees and senior management. Virgo's must always remember however, not to miss the forest for the trees. Getting caught up in a sea of details can often lead Virgos to forget about the big picture. Virgo is the sign of chastity and virginity -- but don't let that fool you. Virgos just take a little while to open up to others completely. They typically hide their true feelings for much longer than other signs. Virgos take time to develop a sense of trust, but when they do, they forge extremely powerful bonds and make excellent lovers, partners and allies. Virgos are typically reserved, and not given to wild displays of emotion or extreme behavior. They are almost always extremely rational. They are very good at discussing issues in a mature fashion -- but only when trust has been fully established. If trust has not been fully established, Virgos may act coy or seem elusive.